Thank you to everyone who shared their stories and comments as part of my iPad giveaway. It made me feel great as a milspouse to know so many people are aware of and thinking about us both today and all year. Most days being married to someone in the military isn’t that different from being married to anyone else. But when you’re suddenly in the world of TDYs, PCSs, duty days, deployments and the nightmare that is realizing your ID expired and you can’t even get on base to renew it (I never, ever learn my lesson) it can be lonely and overwhelming. So thank you, truly. One of the other challenges in being a #milspouse is giving up or changing your OWN career because your life is dictated so much by the active duty service member’s career. To be honest, I let the Navy pull me away from the career I planned twice – once when I realized I wouldn’t be moving to San Diego after all and the jobs I had be applying to on the West Coast would be hard to do from Virginia, and once when we were transferred here to Connecticut and the job I had been planning to make my career wasn’t open anywhere within a 100 mile radius. 1. Keep your resume up to date. It’s easy to forget you might need to re-start your job hunt at any time, but the process is a lot less daunting if you have a resume ready to go. Remember to include your milspouse volunteer jobs – everything from serving as obmudsman for the command to elected positions in the Family Readiness Group counts as experience. 2. Explore careers with portability. Every state needs nurses and teachers. There are real estate offices all over the world. People always need help with taxes or childcare or personal assistants. Although there are different requirements for licenses or certification is various states, Joining Forces is working to get the process streamlined to make it easier on both spouses and veterans to transfer their current qualifications to their new home. Yay for Joining Forces! 3. Work from home. One of the most impressive military spouses I know is a top Mary Kay saleswoman. She has a million friends and connections thanks to the many places she’s lived and makes the built-in support systems that come with being a milspouse work for her. You might not want to sell make-up but the number of work-from-home jobs is amazing – everything from handbags and jewelry to food and cooking products. 4. Think outside the box. If you’re a milspouse you are resourceful, creative, well organized, and flexible. Because you have to be! Those are all talents employers need in many different fields. Just because you started on one path, don’t be afraid to jump to a new one you think sounds interesting. Apply for things that will challenge you! You can do it! 5. 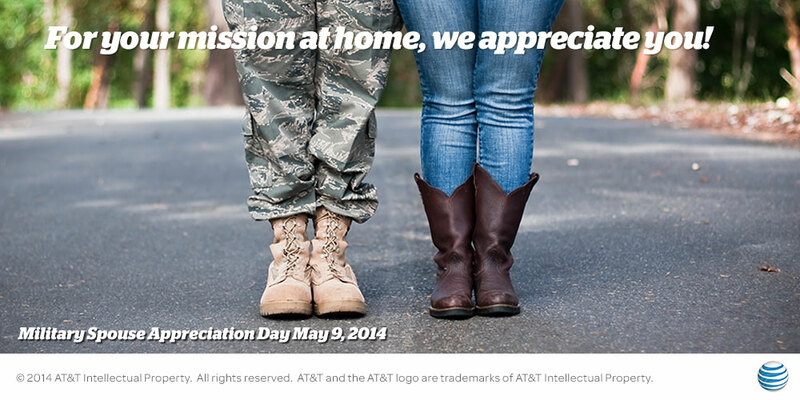 Check out the AT&T Military Spouse Careers site. You can search for jobs near military bases or look for jobs that let you telecommute from home. They also have great resources for veterans and connect to the Military Spouse Talent Exchange. 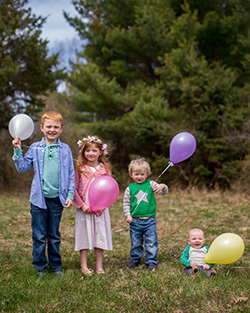 In the long run, being a military spouse means that I got to be a stay at home mom – a job I always wanted, luckily – and make up my own career. I’m a blogger, a freelancer, and now a photographer. I can take those things with me the next time we’re transferred and hopefully one day turn them into a full time job. In the mean time, I’m going to take my own advice and update my resume. If you have any tips to add, leave them in the comments or tweet using the hashtag #milspouse and tag @attjobs. Elizabeth P. from YesNoFilms! Congrats Liz!